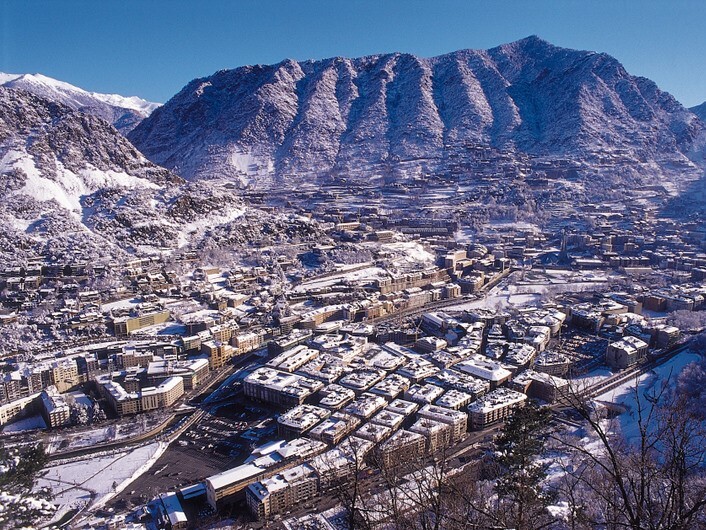 There are two different possibilities for residency in Andorra. It is valid for 1 year , then twice for 3 years and end extends one by 10 years . It has its own rules and is much more restrictive than the passive implementation. If you are interested in the active implementation contact us. Show that you do not have a criminal record. 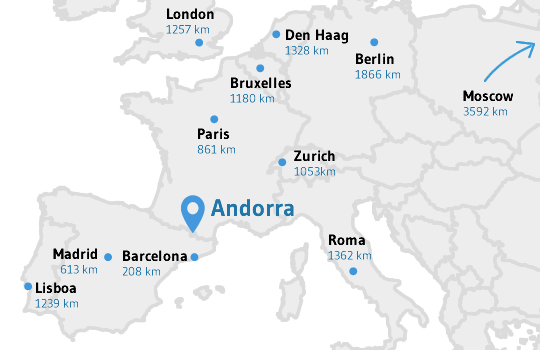 Physically reside in Andorra a minimum of 90 days per calendar year. Leave some 50,000 euros as a deposit, plus about 10,000 euros per family member in charge of the main person. The amount of this finaza, you have to pay the INAF (National Institute of Finance), which will be returned after your stay in the Principality of Andorra. Undergo a medical examination during the time after the application of passive residence month. Demonstrate that you have the necessary resources to meet their needs. I justify invalidity old age is covered socially, through an insurance covering illness. Passport and certificate of marital status. Photocopy of proof of deposit of 50,000 euros in the INAF (National Institute of Finance), plus 10,000 euros per person in charge. Originals of the contracts to buy or rent a home. Documents proving disability insurance, illness and retirement. For people insured by the French Social Security, in the general scheme or the special agrarian regime. Medical certificate issued by a physician of the Principality of Andorra. Test, using a title or bank guarantees, of 300% income above the minimum wage of Andorra, which is 951.60 euros, plus 100% for each additional member in charge. Signing a document that commits to live in Andorra a minimum of 90 days per year. Certain applicants are required to invest € 400,000 in Andorra as part of the application process. This investment can be done either estate properties, as a bank deposit, as an investment in an Andorran company, or as an interest-bearing deposit with the INAF (National Financial Institute). This investment is only required for applicants who have retired, ie no longer actively working. Applicants assets in international business, sports, arts or research and development are not obliged to make this investment, which has been granted residence. Andorra is the perfect home base for those who want to have a minimum tax burdens while increasing your quality of life , with leisure and relaxation. Andorra has an attractive tax system and unique, for people who want to live in the Principality. There is also no restrictions on the movement of capital and real estate assets. You can enjoy the assets you have. The corporate tax is minimal, because the companies only pay an annual taxa trade to the municipality, which for most businesses amounts to less than 2,000 euros per year. Another important and to consider attribute is the strict banking secrecy, unless there injunction. 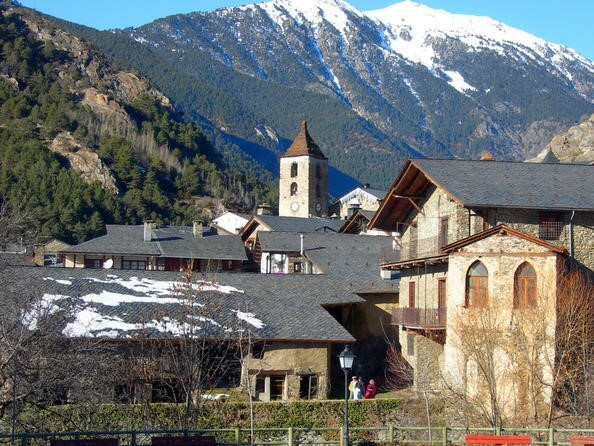 If one gets residency in Andorra, you are not required to have all of its assets in Andorra. Weather in Andorra is very nice . More than 300 days of sunshine and moderate all year, low humidity and the total absence of industry temperatures are some factors that give Andorra life expectancy world's highest 83.5 years. The Mediterranean Sea is only about two hours away. We must not forget that Andorra crime is very low . 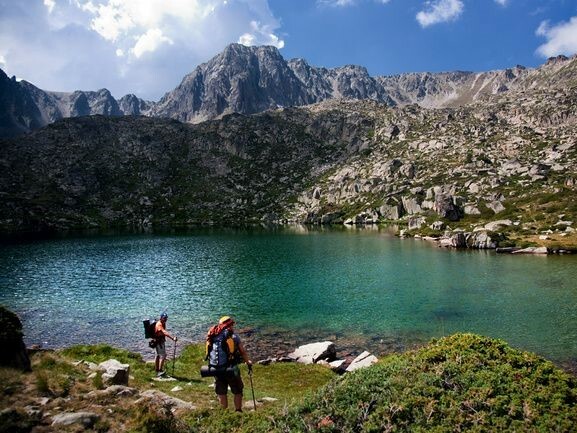 There is a wide variety of nationalities found in Andorra their place of main residence. 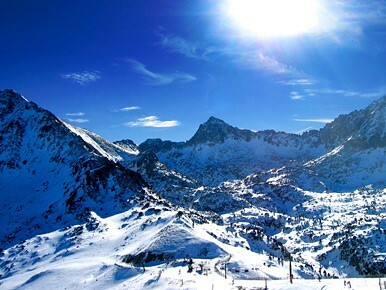 Andorra is particularly popular with the Spanish, French, English, Dutch and Scandinavians. Andorra offers sports and entertainment for the whole family - in summer and winter- and has invested in recent years in improving the country's infrastructure and the extension of ski areas. Unlike other places that skiing - all the hotels and shops stay open all year, except on March 14, on September 8, December 25 and January 1, which only stores are closed . Immoac.com it is available at any time to advise me with the formalities of residence, finding a property purchase or rent. Andorra is diversifying its development model and allowing opening to foreign investment initiatives and business projects of international character. This new economic model is based on the attractive tax but also on legal certainty, institutional stability, high quality of life and a polyglot population with an excellent level of training. The tax reform started strongly in 2010 has given way to a new tax framework that allows the signing of double taxation agreements with major countries and makes an interesting Andorra to operate on the international platform. The new foreign investment law allows the creation of companies with 100% foreign capital. In 2009 Andorra starts a very important contact with the will to establish agreements to exchange tax information with key neighboring countries process. These agreements determine the exchange of information on request of tax authorities, according to the OECD model. With these agreements Andorra longer considered a tax haven and out of the gray list of the OECD. Such agreements are tax information exchange prior to the signing of agreements step to avoid double taxation (CDI). On April 2, 2013, Jordi Cinca, Minister of Finance, signed with his French counterpart, Pierre Moscovici, the agreement to avoid double taxation with France. This agreement must be ratified by the respective parliaments to take effect, but it represents a fundamental step opening Andorra and therefore to develop the new Andorran economic model. The ripening process will require the signing of these agreements to avoid double taxation with other countries and seeking legal certainty to foreign investors and limit the tax burden. It is useful to stress here that one of the special arrangements provided for in the Act Corporate Tax is now fully operational, and international trade activities can enjoy an exemption of 80% on the tax base, so the effective tax rate is 2% on profits. Attracting foreign capital and talents generating activity, occupation and wealth requires the development of a legislative framework that is particularly attractive. On 21 June 2012 the Foreign Investment Law was passed. This law allows openness to foreign capital and simplifying the process of creating companies with foreign capital. Tax profit corporation Andorran law. general rate of 10% of the income earned by the company with important deductions that allow a lower tax cost. Concession, authorization of use or assignment or licensing of patent rights, designs, models or industrial designs, trademarks, domain names and other distinctive signs of the company as well as industrial property rights. Concession or license to use formula or procedures, rights of industrial, commercial or scientific information, including the use of industrial, commercial or scientific equipment. Concession, lease or license copyright of literary, artistic or scientific works, including audiovisual productions, programs, applications and computer systems. Borrowings from related parties or third parties that are used in making loans to non-resident related entities. Management and investment of own treasury or related entities. Service factoring, leasing or collection management. Debentures or shares to finance the group. International Sale of Goods, agents or brokers the sale of movable or immovable property situated outside the Andorran territory. The activity is from Andorra and the marketed product has not been sent or received from Andorra. Income Tax of Economic Activities. general rate of 10%. Levied on the income derived from the realization of the economic activities of individuals resident in Andorra. Income Tax for Non Residents. general rate of 10%. Are taxpayers of this tax individuals and legal entities tax in the Principality of Andorra nonresidents obtaining income in this area. The 2012 law General Indirect Tax (IGI approved ) to apply from 1 January 2013. the IGI replaces most taxes that make up the indirect taxation until 31 December 2012. Very similar to the European VAT, the IGI carries a general rate to 4.5% a reduced rate to 1% for basic necessities, a type of super low 0% and a 9.5% increase applied to banking and financial services. During 2013 It is being drafted the law on income of individuals most likely set a tax of 10% on income above € 40,000 per year.